My grandfather didn't celebrate his next birthday at home, or the next. But he was out of the field and in England by the time his next birthday had come. April 12th, 1917 was his 24th birthday, and of course the big scrap he refers to was the Battle of Vimy Ridge, 92 years ago today. Two years ago I was standing near where he went over the top, walked in some of his footsteps, visited graves at the German Cemetery where his visit in 1968 had such a profound impact on him, and stood at Stewart McNicol's grave, thanking him for his sacrifice. As a side note, April 12th is also my Dad's birthday. When he was four he announced: "I'm four and my dad is forty.". Sunday is a milestone birthday for him. I'll let you do the math. There was a moment, last year in France, that I imagined my Grandpa standing near me, not as a young soldier, but as the man I knew, a man revisiting a place filled with ghosts from his youth. Forty years ago he returned to Vimy, fifty-one years after the battle that must have been a definitive moment in his life. 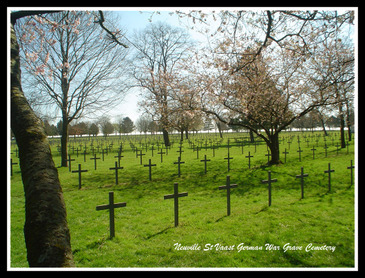 In 1968, one of the first places he visited was the German War Cemetery near Neuville Ste. Vaast. 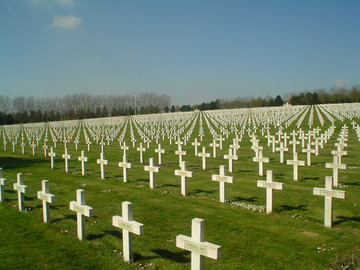 For over an hour in the rain he wandered amongst, not the graves of comrades, the graves of men who had been his enemy. 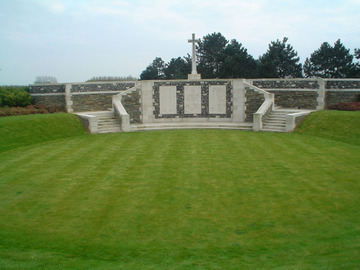 His best friend, and other comrades, lay buried less than a kilometre away and yet he chose to visit this place first. As I stood there, listening to my Uncle describing the scene, I imagined him standing next to me and then moving off amongst the crosses. I wondered what brought him here first and although I'll never know for sure I think I understand. It is difficult to reconcile the man I know as my grandfather with someone who had killed, but he undoubtedly had. His citation for his Military Medal that he earned at Hill 70 recounted that he had killed at least 9 of the enemy. There were many other battles. 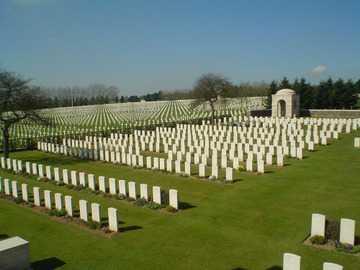 No doubt, among the 44,000 dead buried in that cemetery were men that he caused to be there. Stewart and his other friends had been mourned long before that trip, but there in the rain far from home he probably had to confront the other ghosts that haunted him. Not his friends, but strangers from another land. Strangers just as bent on putting him in the ground, as he was them, but standing there it would have been impossible not to face them. Perhaps, there in the spring rain, he had to do some mourning yet undone. Mourning men he had killed, and perhaps his youth. That war had brought that way. As now, war never will. 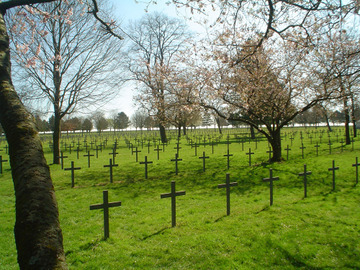 It is almost impossible to put into words just how many graves there are in the area around Vimy. 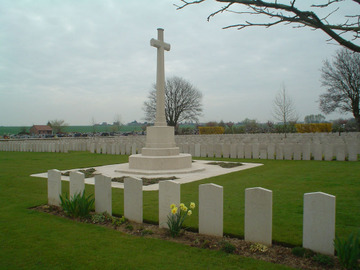 I'd like to be able to tell you of the emotions that course through you after visiting graveyard after graveyard after graveyard, filled with young men, but I can't. Nine Elms cemetery was the first cemetery I visited, almost accidentally. One thing that struck me was how close everything was, closer than I had envisioned. 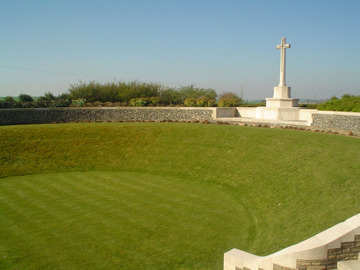 We had left Arras heading for the Vimy Memorial and had just left the outskirts of the city when we drove by the cemetery. I had known what it looked like from Google Earth and I also knew from it that I drove by another cemetery without even noticing it. As it was the cemetery where my Grandfather's best friend, Stewart McNicol, was buried I turned and stopped. The first cemetery was the easiest, emotionally. 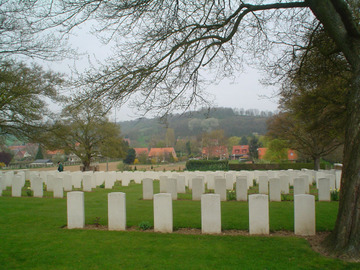 I remember standing in front of Stewart's grave (one of almost 700 in this cemetery), thinking about what it must have been like for my grandfather, watching his best friend, a man he joined with, who he had been with all of the time he was overseas, what it had been like to watch him shot beside him and to keep going. I cannot fathom it. 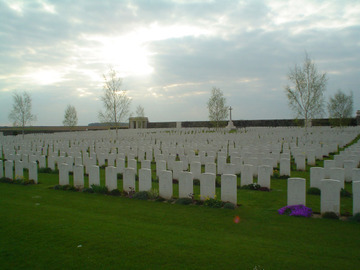 I recall a sense of pride as I walked amongst the graves there, pride that there were so many willing to make that sacrifice for a better world. 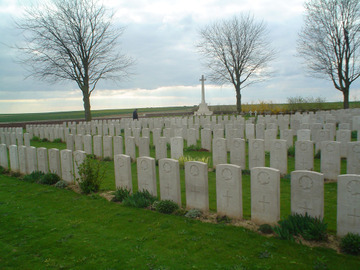 There are cemeteries everywhere there, and I visited many, looking for men from Roblin who gave their lives in the Great War. Eventually an overwhelming sadness crept over me. So many young man, so much promise lost, so much futility. 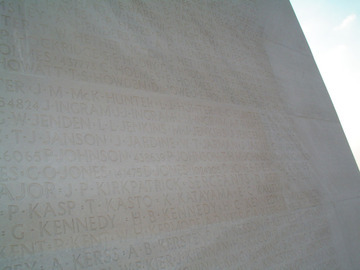 There are over 11,000 names on the Vimy Memorial, for Canadians killed in France that have no known grave, there are another 7,000 names on the Menin Gate memorial for Canadians killed in Belgium with no known grave. Here are some of the cemeteries I visited. 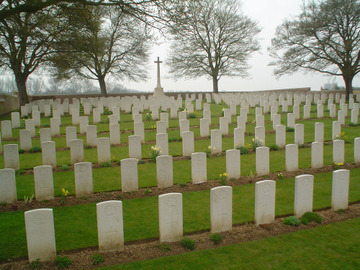 Barlin Communal Cemetery Extension - 1170 Burials, including a Canadian Soldier executed for desertion. 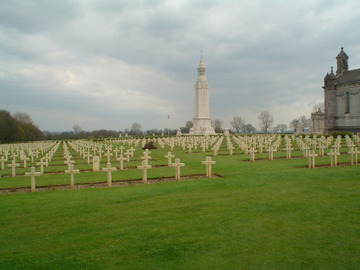 Vimy Memorial - 11,252 soldiers with no known grave.